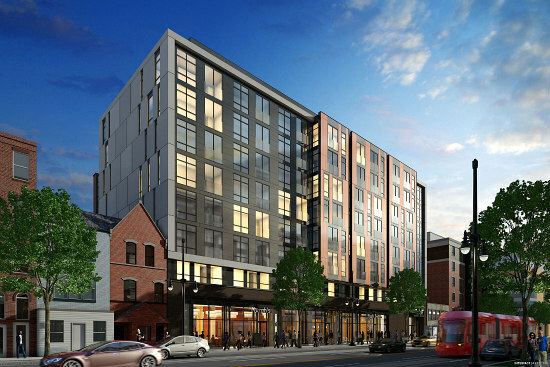 Two years ago, more than 1,500 residential units were in the works for the H Street Corridor. Now, more than 800 of those residences have delivered, but there are still plenty more on the boards. Today, UrbanTurf is turning fresh eyes to the Corridor to see what's up next in the development pipeline. Just past the Hopscotch Bridge at 313-327 H Street NE (map), MRP Realty is in the final stages of constructing this 9-story, 112-unit development. The unit mix will include studios to two-bedrooms ranging from 400 to 1,310 square feet, some with terraces or juliet balconies. The nearly 7,000 square feet of street-level retail is expected to include two restaurants; 29 parking spaces will be on a below-grade level. Amenities will include a 4-screen TV wall, bike storage and repair station, a fitness center, ground-floor courtyard with fireplace and outdoor TV, a rooftop clubroom with kitchen and a rooftop terrace with grills and TVs. The project, designed by Hord Coplan Macht, is expected to deliver this spring. 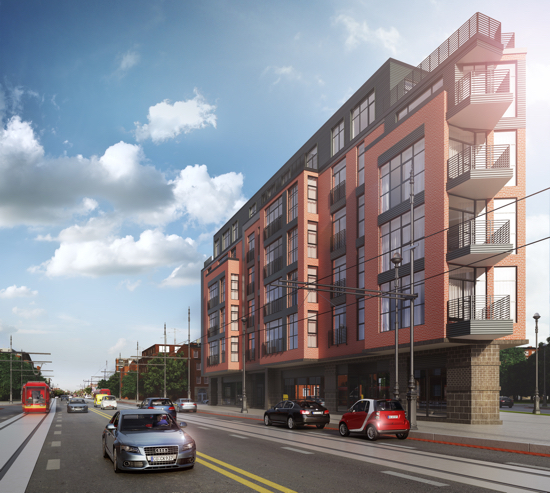 Rock Creek Property Group and Cornerstone Development Group are expected to deliver 23 one- and two-bedroom condos at 646-654 H Street NE (map) late this year. Each unit will have private outdoor space; six of the units will be penthouse duplexes. There will also be five surface parking spaces and 13,750 square feet of retail or office space on the ground floor. Urban Pace will begin selling the units this fall; PGN Architects handled design of the development. The development team remaking the superblock between 7th and 9th Streets is busy framing this upcoming development, which will deliver 419 apartments above 44,373 square feet of retail. 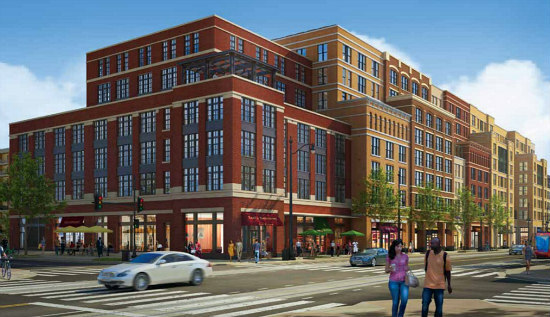 Rappaport Companies, W.C. Smith and the Lustine family are replacing the single-story strip mall that long stood at 801-957 H Street NE (map) with an 8-story building that features varying façades along the streetscape. An underground garage will contain 435 spaces, 126 of which will be for retail. The project is on track to deliver in 2019. 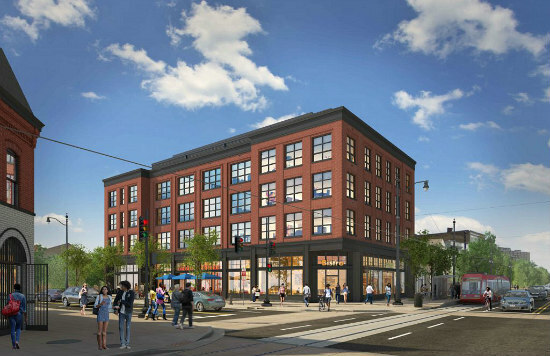 District Development and PGN Architects are preparing to restore the façade of the Parks Hardware building at 920-922 H Street NE (map) and add four floors with ten apartments above. The project is meant to be a hotel/apartment hybrid with the option of furnished units and lease terms as short as two months. Amenities will include a roof grill station and on-demand laundry and housekeeping services. The 3,663 square-foot bi-level commercial space on the cellar and ground floors is expected to house a restaurant with a 480 square-foot rear patio. 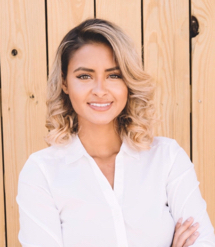 The apartments will have smart wall beds and will range from 400 square-foot studio "/hotel" units to a 980 square-foot two-bedroom penthouse with in-unit elevator. 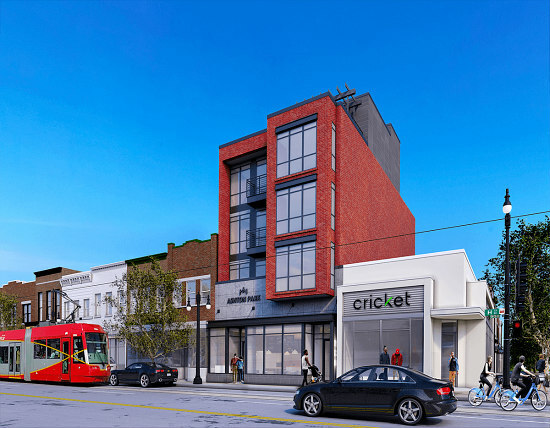 Two blocks away at 1111 H Street NE (map), Monarch Urban is adding three stories atop the one-story retail building currently on the site to deliver six luxury one-bedroom apartments. The street and mezzanine levels will house 1,500 square feet of retail. 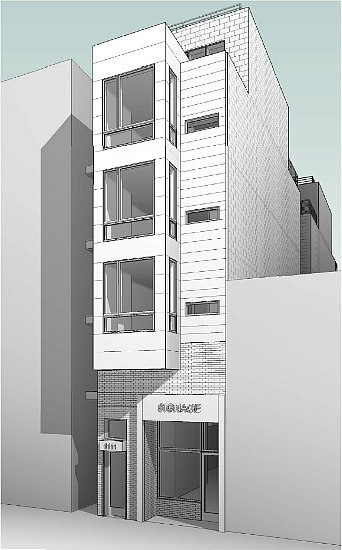 Square 134 Architects designed the building, which will have two penthouse duplexes, private outdoor spaces for each unit and a second-floor courtyard. The project is expected to deliver this year. 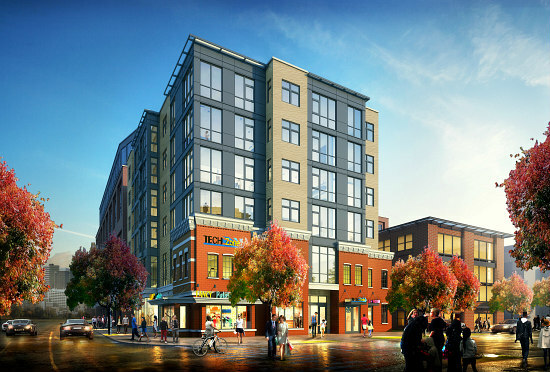 The H Street Community Development Corporation, Insight Property Group and Rise Development have signed a 99-year ground lease for the city-owned land at 13th and H Street NE (map) and are at work on a four-story mixed-use development. The RL Christian Apartments, so named for the R.L. Christian Library the building will replace, will deliver 33 apartments above 5,905 square feet of neighborhood-serving commercial space. The units will all be affordable to households earning 30 or 50 percent of area median income. The team expects to pour the foundation slab for the Maurice Walters-designed building this month; delivery is slated for the end of this year. 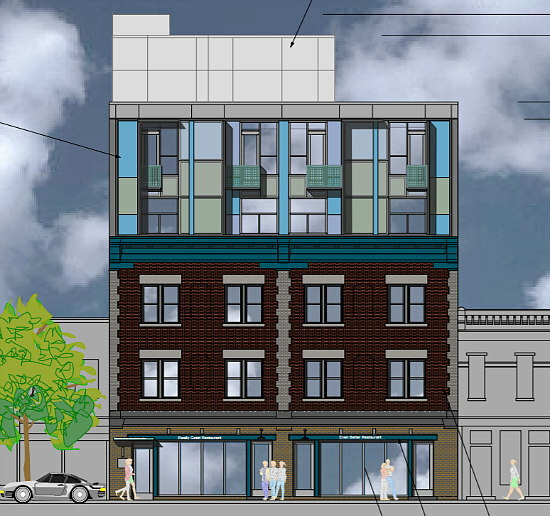 On the opposite corner on the former site of St. John’s Church of God at 1301 H Street NE (map), S2 Development is developing nine condos with interior design by GoodWood's Anna Kahoe. 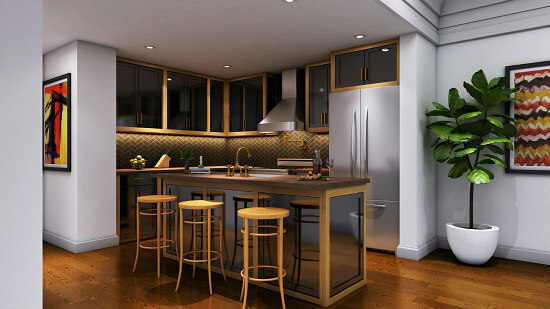 There will be two-bedroom plus den units and three-bedroom condos, ranging in size from 1,035 to 1,098 square feet. The four-story building, designed by Bennett Frank McCarthy Architects, also has over 5,600 square feet of commercial space: 2,765 square feet on the cellar level and 2,896 square feet on the street level, both of which are for sale or lease. 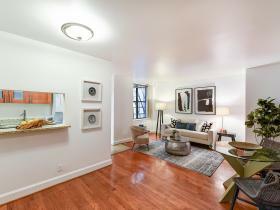 The condos are currently selling in advance of a spring delivery. 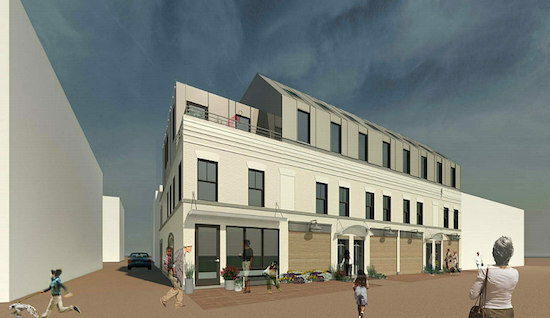 Last spring, the Board of Zoning Adjustment granted approval to Bearden Arts and the Taurus Development Group's plans to construct a five-story rear addition, cellar and below-grade parking level around the three-story building at 1341 H Street NE (map), which currently houses Bullfrog Bagels, the Star and Shamrock tavern and a third-floor office incubator. There will be 8 or 9 residential units along with 14 parking spaces. Monarch Urban will soon deliver four 3-story townhouses and neighborhood-serving commercial space to 1313-1323 Linden Court NE (map), an alley just off H Street NE. Each house will feature a mezzanine level, carriage doors, garages, rear patios and roof decks. Pam Wye of Compass is handling sales. Sales are currently underway at Constellation on H, a six-story, 28-condo project on the triangular parcel at 14th and Florida Avenue NE (map). The building is designed by PGN Architects and Urban Pace is handling sales. Sixteen of the units will be two-bedrooms; there will also be some duplexes on the uppermost two floors.